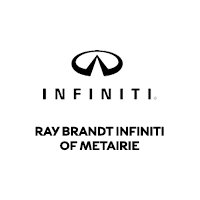 If you’re struggling to find an INFINITI SUV lease on a model you like, visit a reputable dealership in Metairie, LA. With a professional team of salespeople, an impressive inventory of new automobiles, and in-house financial specialists, you’ll have no problem driving home in your dream vehicle. The great thing about an INFINITI SUV lease is you have a choice of four distinct models: the QX30, QX60, and QX80. Although they all fall in the SUV category, each one is different. Regardless of the model or trim level that attracts your attention, by leasing, you’ll have the opportunity to drive a new model while spending less on payments each month than if you were to buy the same vehicle. For example, with an INFINITI SUV lease on the QX30, you’ll have the pleasure of driving a vehicle with a unique design. It’s part coupe, part hatchback, and part crossover. While the interior seating is more like a coupe and the cargo space is similar to a hatchback, excellent handling and capability come from the crossover part. Now, if you’re looking for luxury, you could go with an IINFINITI SUV lease on the QX60. Although it may not be as sporty as some of the other vehicles in its class, it still offers a smooth and quiet ride. This SUV also has towing capability up to 5,000 pounds, a beautiful cabin that’s complete with leather upholstery and wood trim, and the latest infotainment, technology, and safety features. When you are visiting the dealership in Metairie, LA, you should also check out the QX80, the largest vehicle in the lineup. This particular vehicle is beautiful inside and out. If you need something to accommodate seven to eight people while still providing a comfortable ride, leasing this SUV makes perfect sense. Also, with a base V8 engine, it can easily tow up to 8,500 pounds without compromising on power or acceleration. With an INFINITI SUV lease, you can choose whichever model fits your driving needs. They all come in gorgeous colors and promise an incredible ride. Whether you are using the vehicle to commute back and forth to work or to take the family on long road trips, you won’t feel disappointed with any of the three options. At Ray Brandt INFINITI, we have an easy leasing option for you. Once you qualify and select the vehicle of your choice, it won’t take long for you to be on your way. Stop by our Metairie, LA location at your convenience or call to schedule an appointment.